Aretha Louise Franklin (born March 25, 1942) is an American singer, songwriter and pianist commonly referred to as "The Queen of Soul". Although renowned for her soul recordings, Franklin is also adept at jazz, rock, blues, pop, R&B and Gospel music. In 2008, the American music magazine Rolling Stone ranked Franklin #1 on its list of The Greatest Singers of All Time. Franklin is one of the most honored artists by the Grammy Awards, with 18 Grammys to date, which include the Living Legend Grammy and the Lifetime Achievement Grammy. 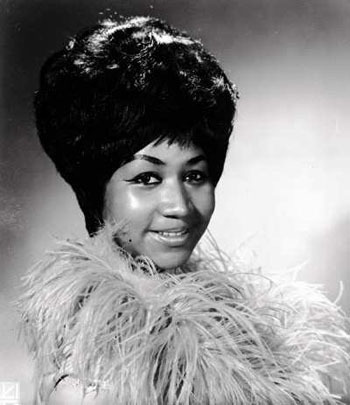 She has scored a total of 20 #1 singles on the Billboard R&B Singles Chart, one of which also became her first #1 hit on the Billboard Hot 100: "Respect" (1967). "I Knew You Were Waiting (For Me)" (1987), a duet with George Michael, became her second #1 on the latter chart. Since 1961, Franklin has scored a total of 45 "Top 40" hits on the Billboard Hot 100 chart.